 Dateline Movies Countdown: May The Facts Be With You! Star Wars is one the most well-known and beloved film universes to ever graced the big screens. Writer and director George Lucas certainly knows how to craft a very well done world wherein anything and everything will most likely happen, except for the prequel trilogy, which we all can agree wished could have came out better. With Episode VII finally coming out after many years, we should at least get to know more of the secrets and behind-the-scenes happenings of the Star Wars films. Salutations, and here in Dateline Movies, the facts will always be with you! 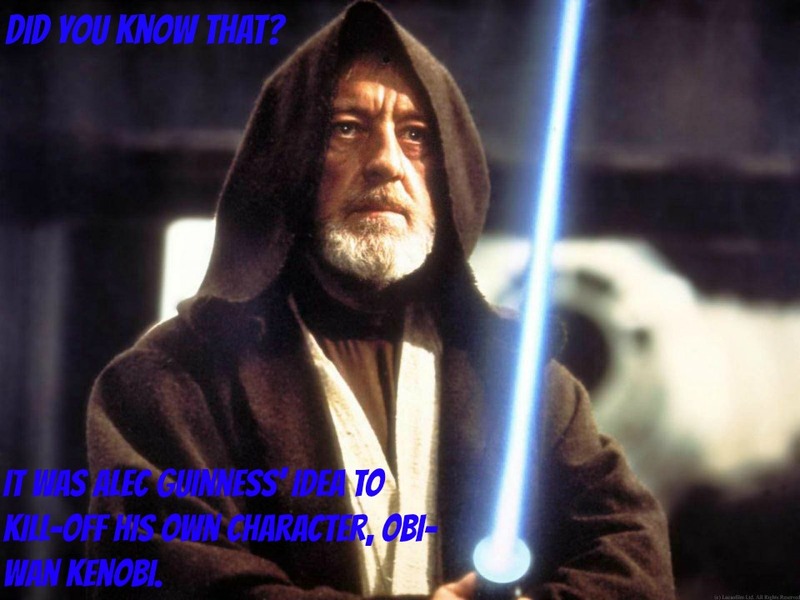 The late Alec Guinness loathed his role in Episode IV: A New Hope because he claims it is nothing more than "fairy tale rubbish". His reason for joining the cast is of course none other than cold-printed cash, and its concept. He, however, refused to promote the movie. His hatred increased when the public cemented his status as Obi-Wan. In fact, he presented the idea of killing Obi-Wan in the film's climax to George Lucas, who agreed and went on with the thought. Up until his death, his hate for the character burns, but not in an overtly annoying way. Despite this, he is actually a pretty down-to-earth and gentle fellow, as all members of the project praised him for his hard work and likable attitude, even earning him a nomination from both the Academy Awards and the Oscars for his portrayal. Point of Interest: According to his book, A Positively Final Appearance, Alec Guinness made a young Star Wars fan cry after asking the lad "to never see Star Wars again.". He mentioned in the book that he "just hope(s) the lad, now in his thirties, is not living in a fantasy world of secondhand childish banalities.". 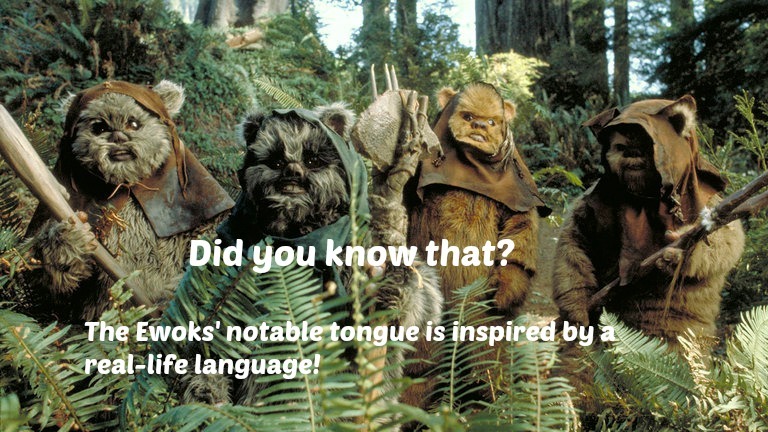 Ben Burtt, the sound-designer for the film, said that whatever the Ewoks were saying were all based on Kalmyk Language, the tongue of a group of people in Russia. According to him and I am not being racist here, he said that when he once watched a documentary about these people, and said, and I paraphrase, it "sounds very alien for Western listeners". 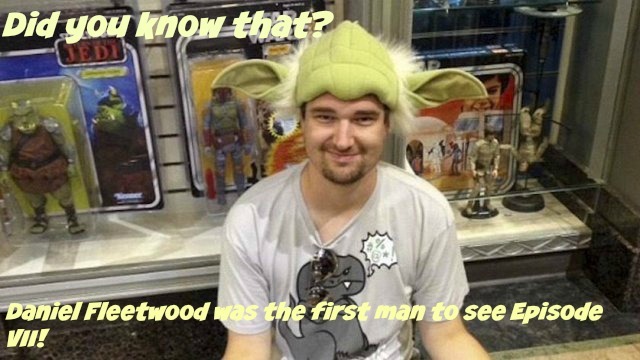 He recorded the voice of a Kalmyk native telling some tales, and Burtt made use of the dialogue for the actors to imitate. Anthony Daniels, who played C-3PO in all Star Wars films, assisted in making some made-up jargon. Point of Interest: Strangely, many people, including me, would mistake it for the Tagalog language, as one Ewok uttered "Ayon, puno daw ito!" or "They said that this is a tree" in English. They even mentioned "Maganda! ", which means beautiful when translated. However, some would object that they are speaking in Tibetan speech. Anthony Daniels - "I'm not convinced the special wasn't ultimately written and directed by a sentient bag of cocaine." George Lucas - "If I had the time and the sledgehammer, I would track down every copy of that show and smash it." 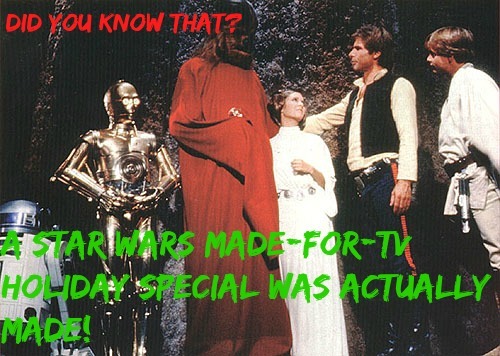 Point of Interest: The "special" was only broadcast once, making this a rare find. Because of Star Wars fans, this actually received a cult following, with commercials included featured in its original airing and the highlight of the film, the animated shorts. Apparently people who are faithful to the path of the Jedi have declared their religion as Jediism on a national census, wherein the people recorded were asked through an email to declare themselves as Jedi. This has some backlash on United Kingdom, as they are now charged as being a cult, and will not be protected. This, in fact, has become so much of a phenomenon that a lot of members involved here were actually dismissed from their jobs because they simply did not want to take-off their hoods. Even a student made a petition to construct a Jedi Temple at his school. Point of Interest: The founders are brothers Daniel and Barney Jones. 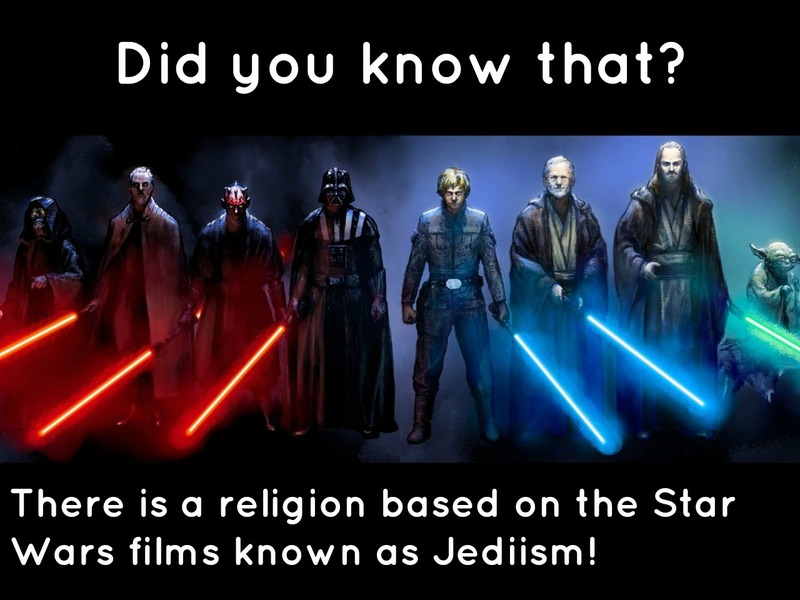 According to them, there is "more Jedi than Scientologists in Britain." Okay, so there are obviously a few good trivia on this good 'ol expansive universe more than we thought. So just to be sure that we have given you enough hype to watch, here are some more cool facts that could either make you smile, shock you, and make you nostalgic. George Lucas personally approached his good friend Steven Spielberg to co-direct the fight scene with Obi-Wan Kenobi and Anakin Skywalker, as well as the duel between Yoda and Palpatine in Episode III: Revenge of the Sith. The band *NSYNC made a cameo in a cut footage from Episode II: Attack of The Clones at the behest of George Lucas because he wants to make his daughters happy. Even though George Lucas had almost no involvement with Episode VII, he had already made some draft scripts for the sequel trilogy prior to the release of Episode VI: Return of the Jedi. Disney refused to make use of them for reasons unknown. There was some controversy over Episode I: The Phantom Menace due to the alien characters reminiscing racial stereotypes. For example, the character Watto was said to act like a stereotypical Jewish man. According to Rob Coleman, an animator for the film, he made use of Alec Guinness's portrayal of Fagin from Oliver Twist as inspiration. Coincidence? - Ewan McGregor, Alec Guinness and Frank Oz as Obi-Wan Kenobi from the Prequel Trilogy, Ben Kenobi from the Original Trilogy and Yoda respectively in archive recordings. - Simon Pegg (Star Trek Reboot Series) as Unkar Plutt, an alien scrap collector from Jakku. - Bill Hader (Saturday Night Live) and Ben Schwartz (The Interview) joined as "voice consultants" for BB-8. - Michael Giachino, Nigel Godrich and even Daniel Craig (Spectre) as Stromtroopers. - Greg Grunberg (Heroes) as an X-Wing pilot named Snap Wexley. - Warwick Davis (Star Wars Episode VI: Return of the Jedi) as an alien named Wollivan. - Carrie Fisher's daughter Billie Lourd (Scream Queens) as a member of the Resistance named Connix. - The casts of Star War: The Clone Wars and Star Wars: Rebels, including directors J.J. Abrams and Kevin Smith (Dogma) as voice roles. And there's probably a whole lot more. Oscar Isaacs' uncle was a huge fan of Star Wars, and with approval from J.J. Abrams, has a small part in the film. Daniel only had two remaining months of life due to his terminal illness, Spindle Cell Sarcoma, a form of tissue cancer. This meant that, as a fan of the series, he'll be missing out on the showing of Star Wars Episode VII, but like a true fan, he fought back with all his strength. 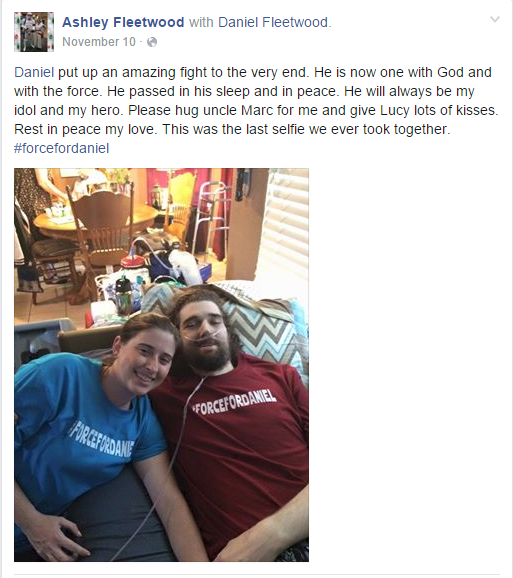 As such, he and Ashley, his then wife, started the #ForceForDaniel, so that he may see the film prior to his passing away. This was a success as Daniel was able to see it in an uncut version. Days later, Daniel succumbed to his disease and is now one with the Force. Because of Ashley, Daniel was able to fulfill his dreams. 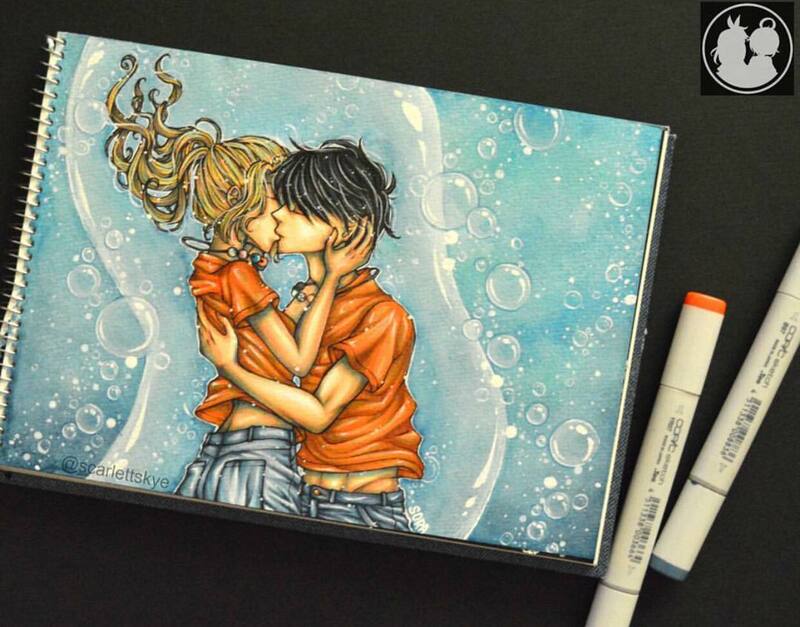 Now that is love. On behalf of Star Wars fans all over the world, thank you for helping-out Daniel in the pursuit of his dream. On Daniel's passing, Ashley left a note for his supporters everywhere. Point of Interest: J.J. Abrams, Mark Hamill and John Boyega supported the campaign. You can visit Ashley's tribute Facebook page for Daniel, here, and you can also follow or friend Ashley here. Man, that last fact reminds me of my family, especially now that it is the Christmas season. Star Wars Episode VII is now showing by the way, so don't spoil us yet. From me and my dad here on Dateline Movies, we wish you all a "Joyeux Noël", a "Maligayang Pasko", a "Felis Navidad", a "Merii Kurisumasu", a ""Kurisumasu Omedetou", a "Glædelig Jul". Merry Christmas everyone! Now before you leave, here are some cool tunes made by fans, which maybe you too could enjoy! Adios! 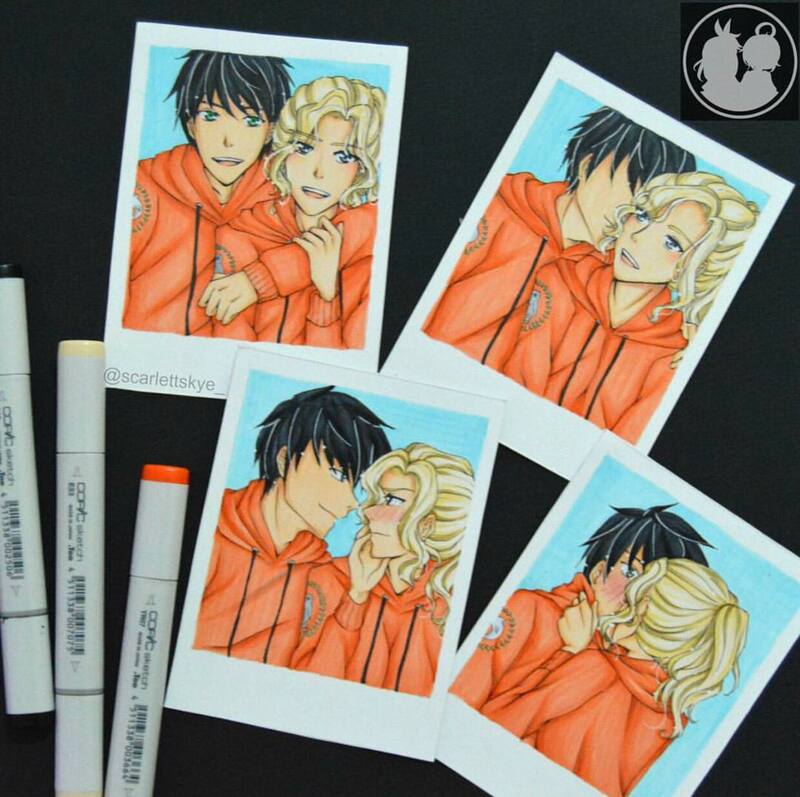 Relative Happiness, A Feel Good Rom-Com!